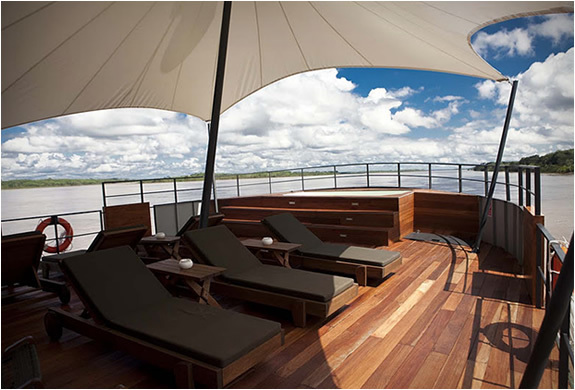 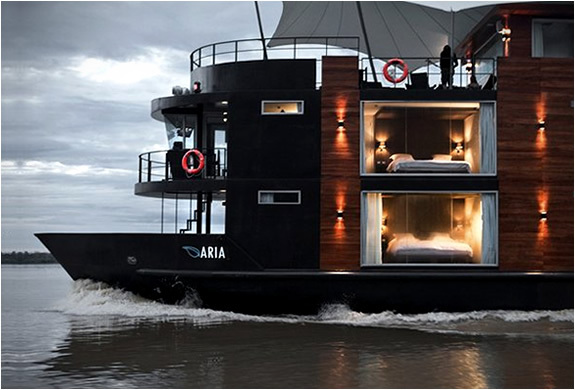 Embark on board this luxury floating hotel from Aqua Expeditions for a magical cruise down the Amazon. 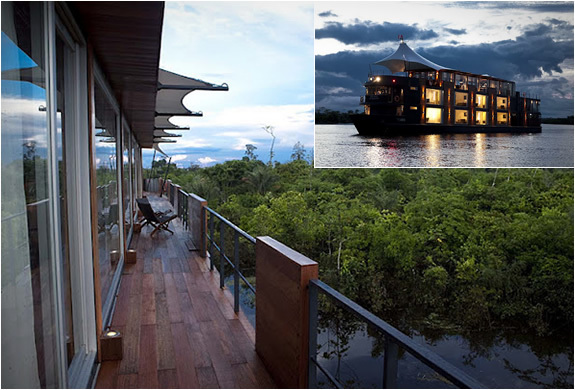 Explore the Peruvian Amazon River, the journey begins towards the river Yanayacu, and then continues through rivers Yarapa, Marayali Canal, Nauta Caño throat ending in the Marañon River...Designed by Peruvian architect Jordi Puig, MV Aqua is the only luxury boat to sail down the Amazon. 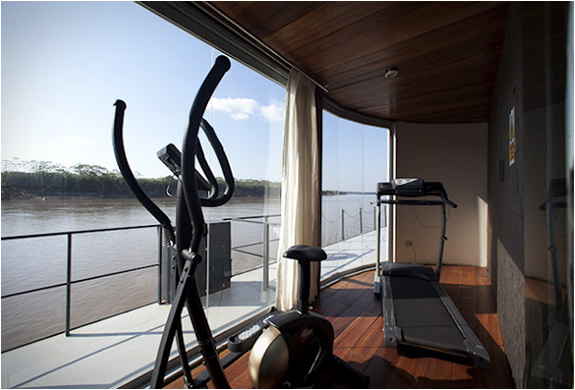 It includes only 12 suites with 24 square meters, all with panoramic views thanks to the large windows. 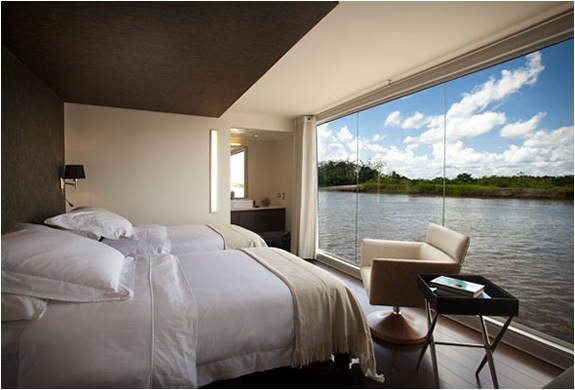 Enjoy the intimate atmosphere of a 5-star boutique hotel with extreme customer care, whilst experiencing and savoring as much of the beauty of the Amazon as possible.